A pendant light is a style of ceiling lighting, which has recently seen an increase in popularity due to its versatility. It can be used for different purposes including task lighting and mood lighting, hence why it is so frequently used throughout the home. Pendant lighting is similar to pendants that hang from a necklace, but it comes in a range of shapes and sizes. Pendant lighting creates a focused light that hangs from above, and they work to reduce clutter as there is less need for a floor or table lamp to supplement your main source of lighting. 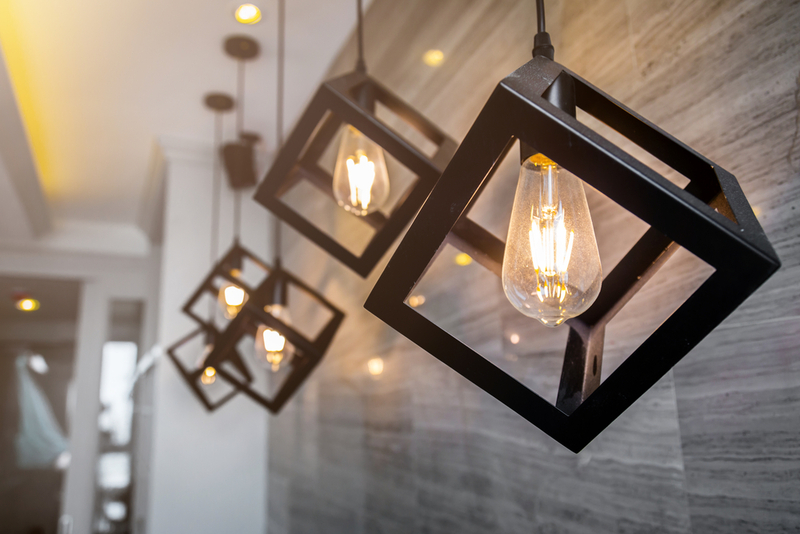 Whilst pendant lighting is incredibly versatile, there are several different types that appear more frequently than the others. Mini pendants are the smallest, and they are often used as task lighting. You can buy downlights or uplights too - downlights are better for task lighting, whilst uplights are more beneficial for adding space to a room. Lastly, there are drum pendants, which have a cylinder that is shaped like a drum - this is currently the most popular style of pendant lighting within interior design, with metallic finishes seeming to be the focus. The best thing about pendant lights is that they can be used in any room of your home. In the kitchen, you can use them over an island, breakfast bar or dining table as a replacement for a chandelier. In the bedroom, you can use them instead of a bedside lamp. You can use pendant lighting in open areas of your home, such as the hallway - if you choose a statement pendant, this will act as a piece of artwork. You can add a dimmer switch to pendant lighting, which will allow you to set the lighting according to the mood. Buy a shade with cut-out pieces and use it to cast shadows in your hallway. Instead of using multiple pendants above a dining table, use one statement piece. Use the pendants as a colour contrast - yellow against a monochrome colour scheme, for example. Hang a pendant light above the stairs to add structure. Pendant lighting can be a better alternative to sconces in the bathroom. If you want to hang pendant lighting over your bed, but don't want to risk bumping your head, hang it at the foot of the bed. Are you thinking about pendant lighting for your home? Take a look at our extensive collection.